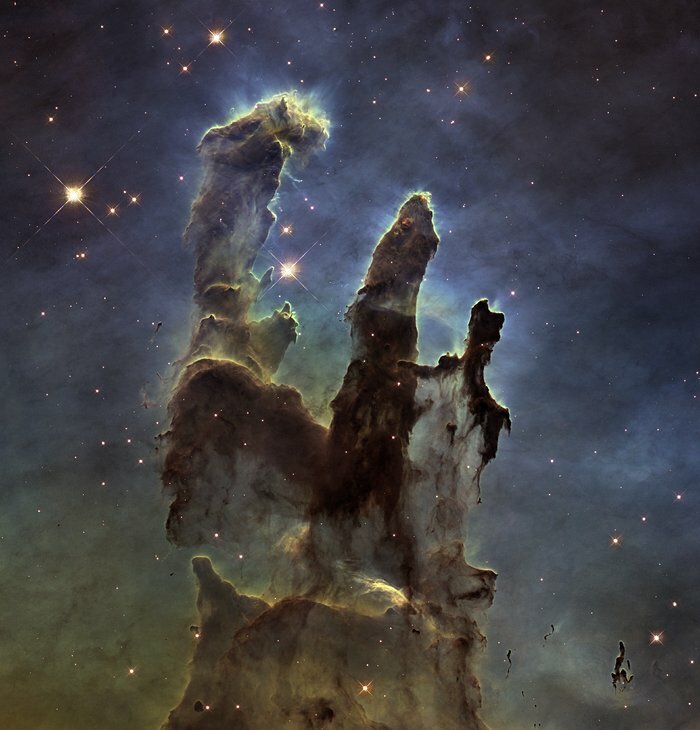 The NASA/ESA Hubble Space Telescope has revisited one of its most iconic and popular images: the Eagle Nebula’s Pillars of Creation. 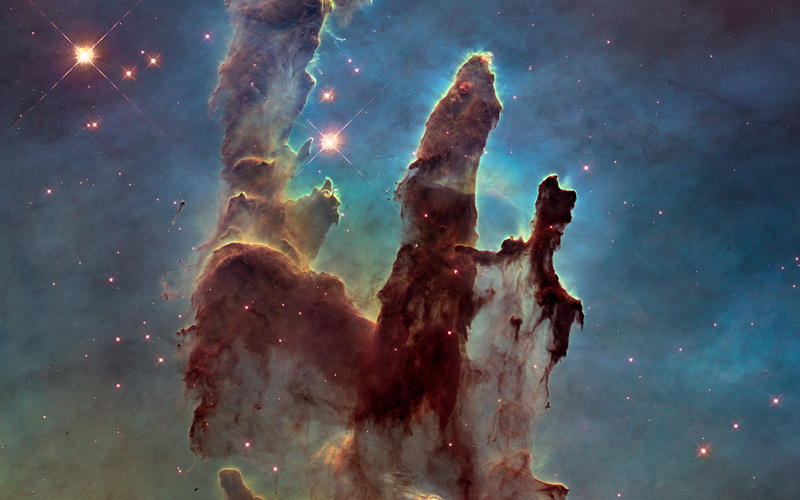 This image shows the pillars as seen in visible light, capturing the multi-coloured glow of gas clouds, wispy tendrils of dark cosmic dust, and the rust-coloured elephants’ trunks of the nebula’s famous pillars. 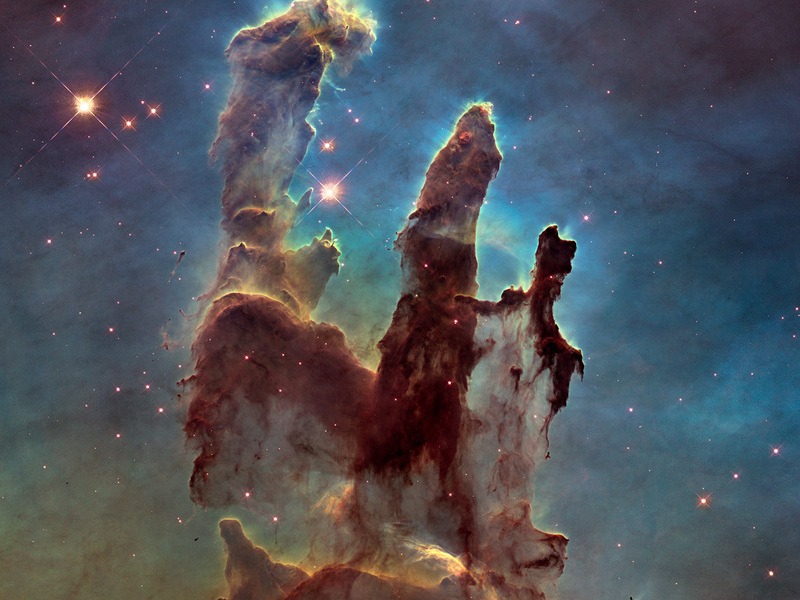 The dust and gas in the pillars is seared by the intense radiation from young stars and eroded by strong winds from massive nearby stars. 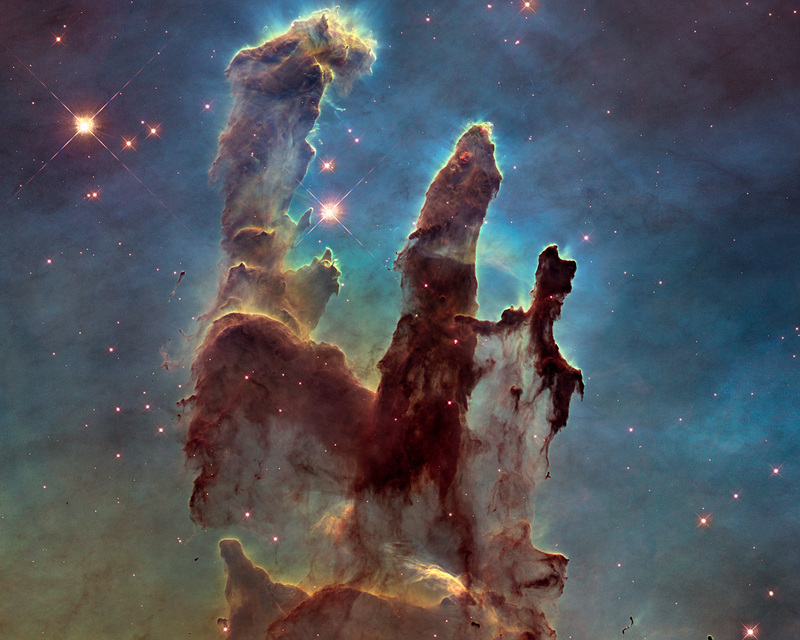 With these new images comes better contrast and a clearer view for astronomers to study how the structure of the pillars is changing over time. 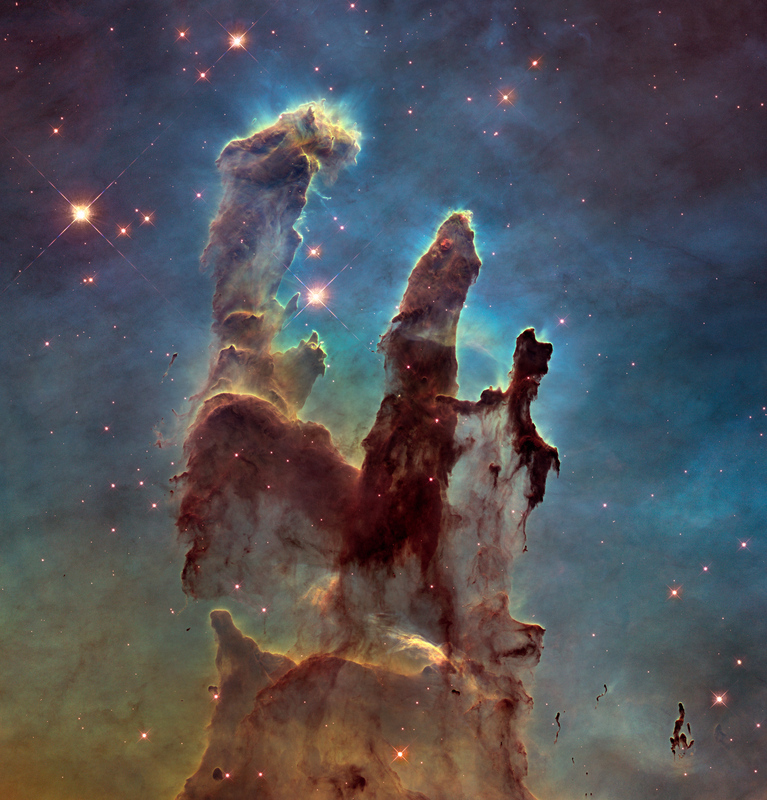 Position (Dec): -13° 50' 21.97"